... While Deciding What Principal’s Need to Know! This week, Solution Tree Press and the National Association of Elementary School Principals (NAESP) released a collaborative book project: What Every Principal Needs to Know About the Teaching and Learning of Mathematics. 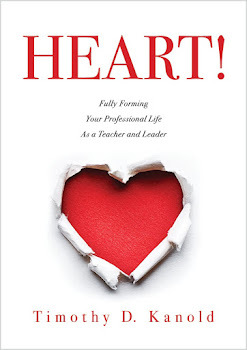 For more information on the book, you can click on the picture of the cover and in another blog entry I will detail the purpose and intent of the book itself, and how it might serve school leaders in the future. I was first approached by Solution Tree Press to work on the book - part of a series of elementary school principal books with various curricular themes - about 16 months ago. Considering my content knowledge strengths are primarily in the 6-12 mathematics arena, I knew I needed to be part of a team of writers with various expertise and research affirmed knowledge in K-8 mathematics. And the collaboration began with my two co-authors on this project, Skip Fennell and Diane Briars. Skip is a recent Past President of NCTM from the Baltimore area and Diane is the current Past President of NCSM from the Pittsburgh area. And I am from the Chicago area, now living near San Francisco. As our writing project hit a crescendo and came to a close in early September (after a year of planning and writing) there was a sense of achievement that was more meaningful, because it was something we did together. 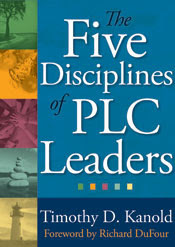 Like many new teams that get together, we each brought individual strengths to the project, but we were hoping to use those strengths to create a great collaborative effort that would result in the goal of the book: Mathematics support for K-8 Principals and teachers. Like many teacher teams, this was our first project working together. And as I anticipated, working with Skip and Diane was a tremendous opportunity for us to learn and grow from one another. The serious writing and pursuit of common agreements took about 10 months. About the same as a school year for a collaborative learning team in a PLC at work school. We also had that dilemma of how to collaborate on a weekly basis even if we could not be together face to face. Phone calls, emails, shared electronic files and folders, and planned meetings in airports became part of our work together. Now that the book is completed it is a bit easier to look back and not quite feel the urgency of deadlines, and ideas, and changes and edits and agreements on the books’ many major as well as minor themes. When you are in the process of collaborating, it all seems to be a bit stressful at times, right? The constant urgency and the beat of the school year calendar, is stressful for your collaborative team, right? The same was true for us. And here is the best part. Skip and Diane are colleagues I have known a long time in the profession. I have heard them speak, I have occasionally worked with them on a short term project or two for NCSM or NCTM, but it has always been a bit of a “knowing you professionally from afar” sort of thing. Maybe like your relationship with colleagues in your school or district. You know, the colleague that is teaching or leading in the classroom down the hall, or the school across town; but you don’t really know them. And you certainly don’t depend on them for your success. And yet, you cannot experience what it means to work in an authentic collaborative team unless you are willing to be interdependent on others. And that is never easy. During the past year, I learned how to become interdependent on these two colleagues I had known from afar. Because of our work together on this book project, I learned their craft knowledge about mathematics teaching and learning. I learned how they view the world, how they understand change, and mindset development and growth and paradigm shifts that will make a difference. And I learned much about the things in life that makes both of them the great educators they have become. And along the way, I learned several lessons about effective collaboration with these two esteemed colleagues. In this blog, I share two of those lessons. I hope you can apply them in the work of your collaborative teacher or school leadership teams this year. …striking a balance between arrogance (assuming you know more than you do) and insecurity (believing you know too little to act). This attitude enables people to act on their present knowledge while doubting what they know. It means they can do things now, as well as keep learning along the way. Skip and Diane both possess this important quality for members of successful teams. They fit perfectly Carol Dweck’s description of individuals that see themselves growing and learning as a life long endeavor. And they know just enough, to know they can always improve upon “The work”. When you decide to write a book, or be part of a team, this is a very important quality. Not only did our writing receive fair and sometimes severe critical analysis from one another, it went out for review twice, was shaped by editors, and even down to the wire, went through a few hundred minor edits, all designed to produce a great collaborative project. I have 43 drafts that led to the final document. No egos allowed when collaborating with others. Hint: Be critical with grace, and tie every decision to the vision of the project. Colleagues who have the most influence on you are those closest to you. To really serve and influence others on your team requires authentic closeness, and closeness requires making an enemy of superficiality—and the enemy of superficiality is intimacy. For team members, intimacy is measured by the closeness of your relationships with those on your team, as well as your closeness to the quality of work or competence you and your peers provide. Are you intimate with your work? Skip, Diane and I wanted to be intimate with this book project. We were willing to commit to it. Make the sacrifice to it. Persevere through it. We wanted it to really matter. How about you? Are you starting to rethink what it means to be intimate with your work? Ultimately, you decide how real intimacy will develop through the “quality of service” value created by your work together. In successful collaborative teams all adults come to work in order to serve the growth and improvement of others. Your commitment will lead to a better understanding of the work and the lives of those you serve with on your team. For example, I learned that Diane was a die-hard Steelers fan and Skip was a die-hard Ravens fan. When they met in the football playoffs last January we were right in the middle of writing this book, and the emails were flying around, about who was going to win that game! We learned more about each other. We learned that Skip knows a place in Baltimore with the best clam chowder of all time, that I like Harry Carrey’s on the lake in Chicago, and that Diane has these cats. And mostly we learned how to bring our strengths to the team, in order to enjoy the journey of writing together. We had fun, we worked hard, and we did not take ourselves too seriously. The end result, different personalities, different strengths and weaknesses, with an intimacy, and a commitment to one shared goal. Sound like any of the teams you currently serve on? In the best teams, during and at the end of the year, the outcome of your work becomes a more deep and lasting friendship with your colleagues, and the development of a course content, assessment and instruction that reflects the high quality of your work together. I hope that will become the legacy of your team, as you walk that collaborative road every day. I know it did for us. Ending the Era of Invitation!